One of the most iconic buildings in Mumbai, if not the whole of India this historic hotel could not be in a better location. Set in the heart of South Mumbai, just minutes away from prime cultural and shopping centres it overlooks that other famous landmark, The Gateway of India and the Arabian Sea. Built in 1903 it was the first hotel in India to have electricity and probably the only place where a British Viceroy could rub shoulders with a Maharajah. Since then it has become the world-renowned hotel that it is today, welcoming Heads of State, Maharajahs, Hollywood celebrities and rock stars alike. 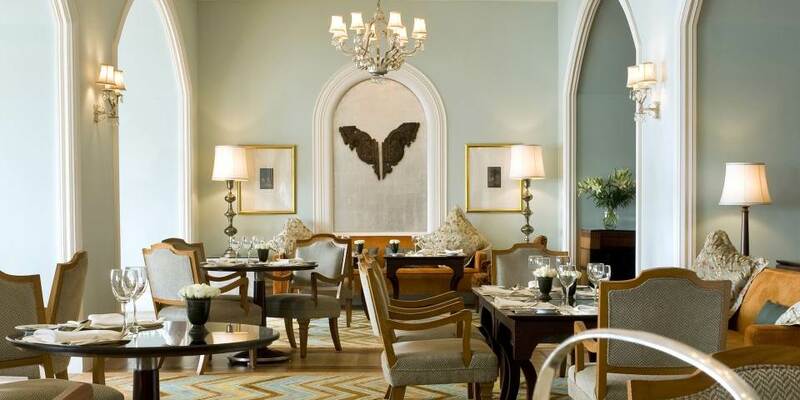 The Taj Mahal Palace has some of the most sought after restaurants in India. With 10 restaurants from which to choose, guests are treated to diverse cooking styles and the most imaginative culinary traditions from India, Europe, the Middle East and the Orient. Among these are the Zodiac Grill renowned for its French fine dining of the highest order, served on the finest china with hand blown crystal and gilt-edged cutlery. Masala Kraft where the path of authentic Indian cuisine is retraced with signature dishes including atta chicken and langarwali dal. 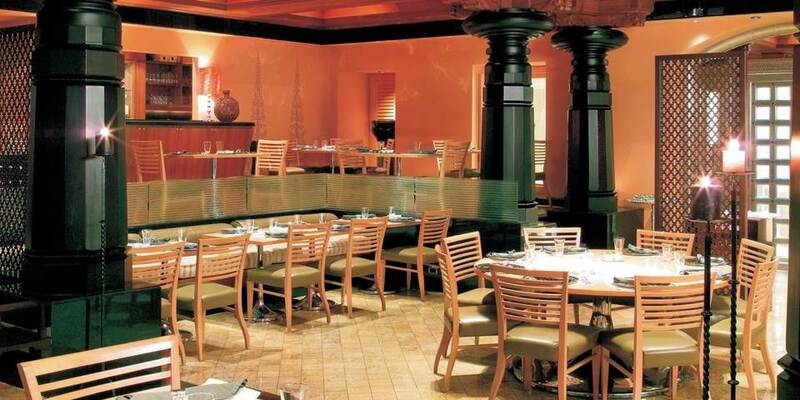 The award winning Wasabi by Morimoto offers a variety of Japanese delicacies with an array of sakes and sushi. Golden Dragon was India’s first authentic Sichuan restaurant and has a menu that includes dim sum, Peking Duck and other favourites all complemented by a variety of exotic teas. The historical and famous Sea Lounge became known as a place for matchmaking and is still famous in Mumbai as a place for people to meet, relax and indulge in a lavish high tea with delicious savouries and sweets from different Asian countries, it also includes hot snacks, dim sum, kebabs, scones and pastries. Add to these Souk, with its Middle Eastern cuisine, Shamiana for all hours dining and there is more than enough to satisfy the most eclectic diner. Mumbai encapsulates the finest traditions of exquisite art, diverse culture, and rich history with much to experience, from the amazing Victoria Terminus railway station to traditional bazaars and Chowpatty Beach, the city’s most popular promenade. After exploring the city, return to the hotel and relax in the swimming pool or be rejuvenated in the Jiva Spa where ancient Indian wisdom blends with contemporary therapies. 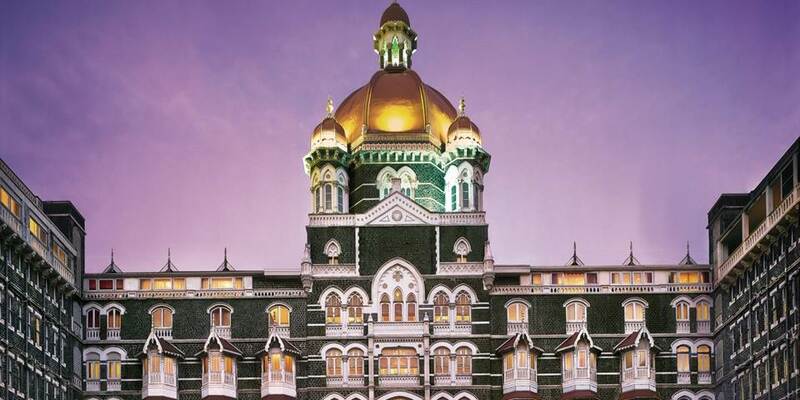 The Taj Mahal Palace is an integral part of the history of Mumbai and indeed its heart. 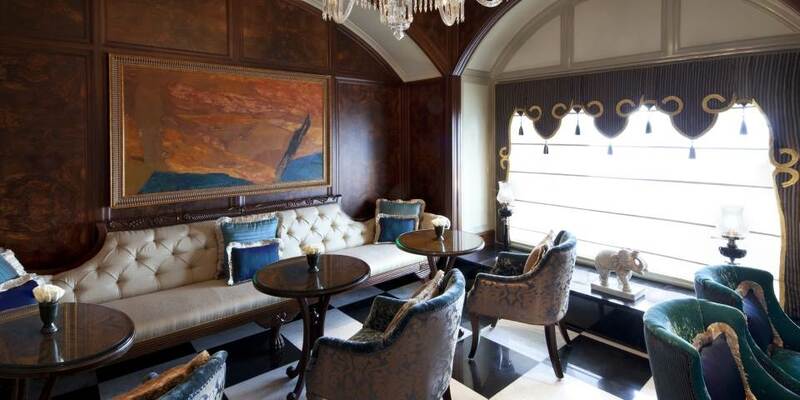 The recently refurbished corridors and rooms still stand testimony to a century old heritage, with original artwork and period furniture infusing them with an old world charm, while still having all the state of the art amenities required in today’s world. Taj Club rooms are situated on the top floors and offer access to the exclusive Taj Club lounge with all its added benefits. The suites here are legendary; each combines contemporary and classic styles, with richly hued interiors evoking the grandeur of a bygone age. Executive Suites are contemporary living spaces, which include bedroom and living room; Luxury Suites are delightfully themed and have the added benefit of a dining room with guests also having access to the Taj Club. Grand Luxury Suites have all of the amenities of the others but are even more luxurious and have stunning views of the Arabian Sea and Gateway of India. Even more luxurious are the two Signature Suites, the richly furnished and opulent Rajput Suite in all its Rajasthani splendour, or the Ravi Shankar Suite named after the celebrated sitar maestro. 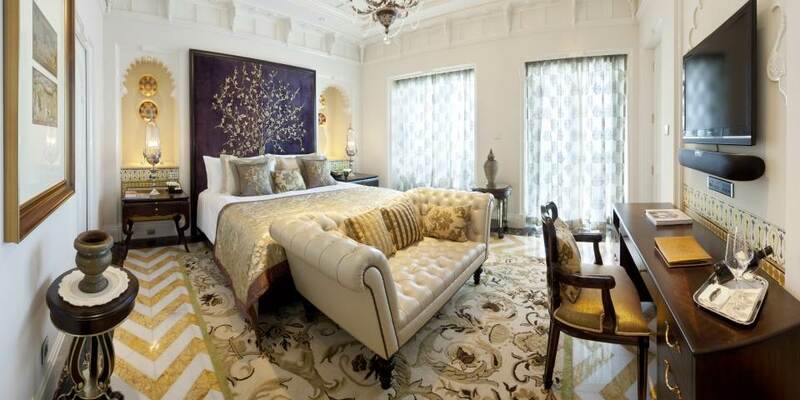 The epitome of luxury has to be the Presidential or Tata Suite, comprised of 15 graciously appointed rooms elegantly furnished with hand woven silks, furniture clad in silver, white marble floors and patterned hand knotted carpets. This is a taste of royal living; a luxury and extravagance once the sole preserve of kings.